Winners » August 2016 Casino Wins » August 28, 2016. World's Biggest Mobile Casino Jackpot Won by Zodiac Casino Player. Zodiac Online Casino has just announced that one of their players has won a record-breaking mobile jackpot of $11,610,536.59. Player 'D.P.' won this life-changing amount by betting only $1.50 using her iPad on the progressive slot Mega Moolah. On Sunday 28th August the stars aligned for the lucky player and a spin of the wheel saw him land a jackpot worth €7,968,311.26! "I searched for casinos with big jackpots and up popped Zodiac Casino; this is the best moment of my life," revealed the lucky winner. Still in shock, D.P. has enjoyed a few bottles of champagne as she contemplates what to do with her life as a new multimillionaire. Zodiac Casino is a proud member of the CasinoRewards group which has created numerous instant millionaires in recent years including K.E. winner of $5.5 million, G.M. winner of $3.9 million, A.D. winner of €3.8 million, I.R. winner of $3.3 million and now D.P. winner of over $11.6 million. The Mega Moolah jackpot continually grows with each and every bet placed, and one of the most exciting features of the game is that any bet, even one as low as 25 cents, can randomly trigger a jackpot win. In the last few weeks, J.H. won $23,739.18 after depositing just $1 to claim the sign-up offer at Zodiac Casino, and incredibly seven days later, new player M.F. deposited €1 and instantly won €22,509.04. Even after D.P. 's record-breaking $11.6 million mobile win, the Mega Moolah jackpot has already climbed back to over $£€5,000,000 meaning there is always big money to be won at Zodiac Casino. Zodiac Casino offers all new players 80 chances to become an instant millionaire. Users only need to register at Zodiac Casino and purchase $£€1 in casino credit. Zodiac Casino is no stranger to big winners and consistently offers its members incredible bonus offers, bonus money back on every bet placed and exclusive promotions such as the Time Of Your Life Sweepstakes. 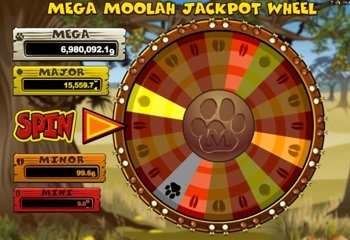 Tags: Mega Moolah, Record Jackpot, Zodiac Casino, D.P..